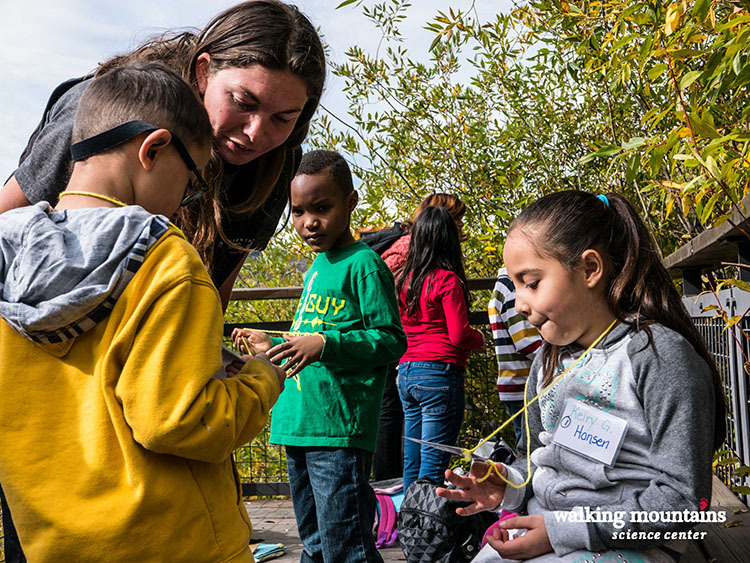 This multi-faceted graduate fellowship at Walking Mountains Science Center is a full-time, 2 year and 3 month professional development program that focuses on K-12 field science education, leadership, and helping to grow a reputable nonprofit organization. This position is responsible for serving the organization with a personal commitment to awakening a sense of wonder and inspiring environmental stewardship and sustainability though natural science education. The Natural Science Educator position requires dedication to experiential learning, environmental education, natural science education, and life-long learning. The Natural Science Educator coordinates and teaches natural science programming both in the classroom and in the field during our summer science camps and school field programs. 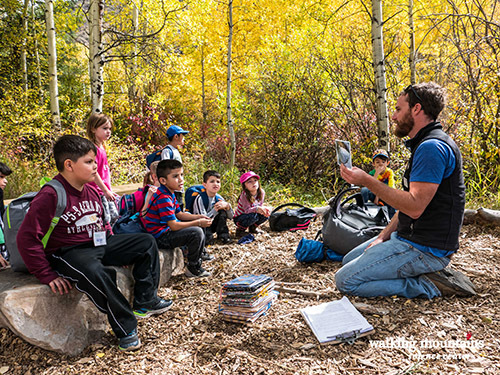 In addition to teaching responsibilities, Natural Science Educators simultaneously participate in a Master of Arts graduate program through University of Northern Colorado’s School of Biological Sciences, College of Natural and Health Sciences and Extended Campus. 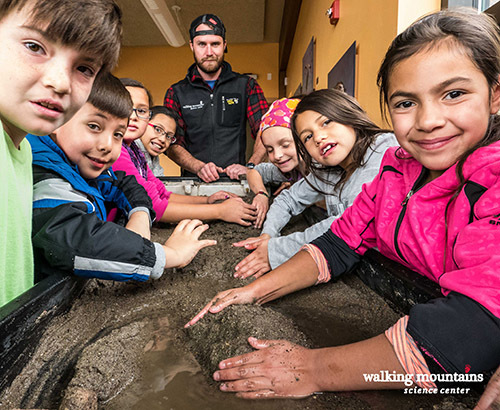 Natural Science Educators are enrolled in courses taught at Walking Mountains Science Center and online. Upon successful completion of all required coursework and responsibilities of the 2 year and 3 month position, Natural Science Educators will earn a Master of Arts Degree in Science Education from the University of Northern Colorado (UNC). During the first summer, Natural Science Educators are mentored by the outgoing cohort of Educators, and together are responsible for preparing and teaching week-long youth natural science camps to students primarily in 1st-6th grade. There are a few middle and high school programs offered as well. 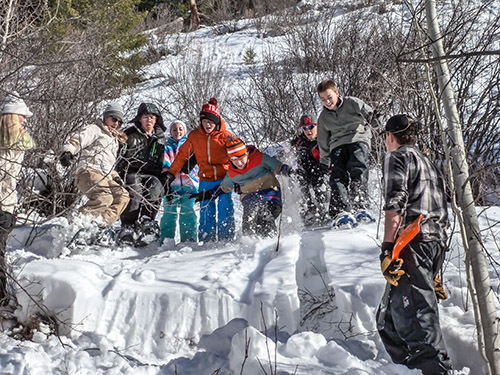 Most summer camps are day camps, but some are residential and based out of backcountry huts. Educators will also begin the first two graduate courses during the summer, an online course entitled Introduction to Graduate Research and a second class in person at Walking Mountains, K-12 Science Inquiry. By fall, Natural Science Educators are fully responsible for planning, preparing and teaching K-12 students in a variety of field science topics such as geology, sustainable energy, biodiversity research, weather, ecosystems, snow science and winter ecology. 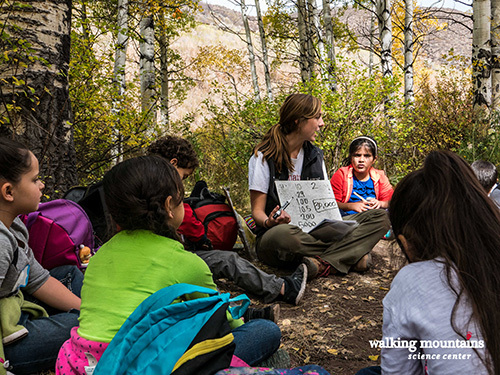 Ranging from one to three days, and sometimes residential, field programs are a vital supplement to traditional classroom learning. The majority of school programs are one day in length. There are opportunities for curriculum development during the fellowship as well. Coursework during this season includes Teaching Culturally and Linguistically Diverse Learners (online) and Program Design & Planning in Environmental Education (in-person). During the second year, Natural Science Educators continue teaching summer camp, field science programs, mentor the incoming cohort of Educators, continue with their graduate coursework, conduct an action research project, and thereby round out their professional experience by providing critical leadership and program coordination. Professional Development is tied to the Master of Arts in Science Education graduate program through University of Northern Colorado’s School of Biological Sciences, College of Natural and Health Sciences and Extended Campus. Over the course of their fellowship, Natural Science Educators participate in 30 credits of graduate courses that complement and support their ongoing teaching responsibilities and professional growth as a natural science field educator. Courses on campus are taught by the Walking Mountains’ Graduate Programs Director, with support from Walking Mountains faculty, and online courses are taught remotely by UNC faculty. 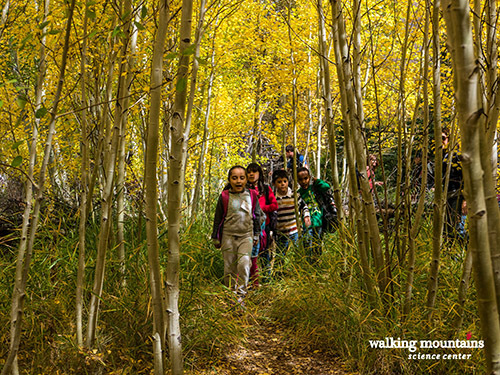 The cost of the credits is paid for by Walking Mountains Science Center as a component of the Natural Science Educator’s compensation and benefits package. Each semester (summer, fall, and spring) Natural Science Educators will be enrolled in two courses simultaneously, ranging between 3-6 credits per semester. One course each semester is taught in seminar and discussion format during the regular work week, and is scheduled around field teaching responsibilities. The second course each semester is online, and generally self-paced. Course readings and assignments are required, most of which will take place outside of the Natural Science Educator’s regularly scheduled work week. Coursework is designed to enhance teaching by providing resources related to instructional strategies, student developmental abilities, curriculum design philosophy and practice, educational research, science content knowledge, and history and theory related to the field of environmental education in general. The program culminates with an action research project and presentation, which serves as the comprehensive exam. 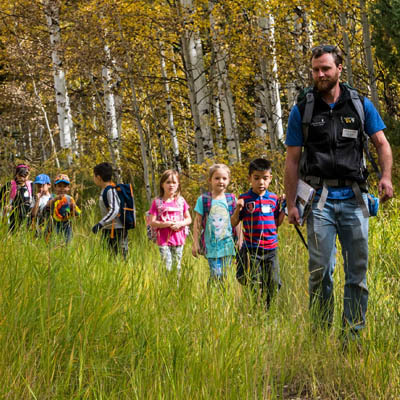 Upon successful completion of this program (receiving a “B” or higher grade in each course), Natural Science Educators will earn a Master of Arts Degree in Science Education through University of Northern Colorado. This is a newly forged partnership that is providing educators the opportunity to complete their Master’s degree in its entirety throughout the duration of the fellowship. This cohort will be the second group to go through this program, and applicants must be flexible, able to communicate about and manage challenges, and willing to provide feedback to help improve the program as it grows. Benefits of this position are numerous – including the opportunity to spend over 2 years learning, teaching, living and playing in our beautiful mountain environment. Natural Science Educators receive seven weeks of training, 30 graduate credits through University of Northern Colorado paid for by Walking Mountains, four weeks of scheduled vacation per year, a ski pass, health and dental insurance, and housing during the first summer of programming. To inquire about compensation, contact Jaymee Squires, the Graduate Programs Director, at JaymeeS@walkingmountains.org.